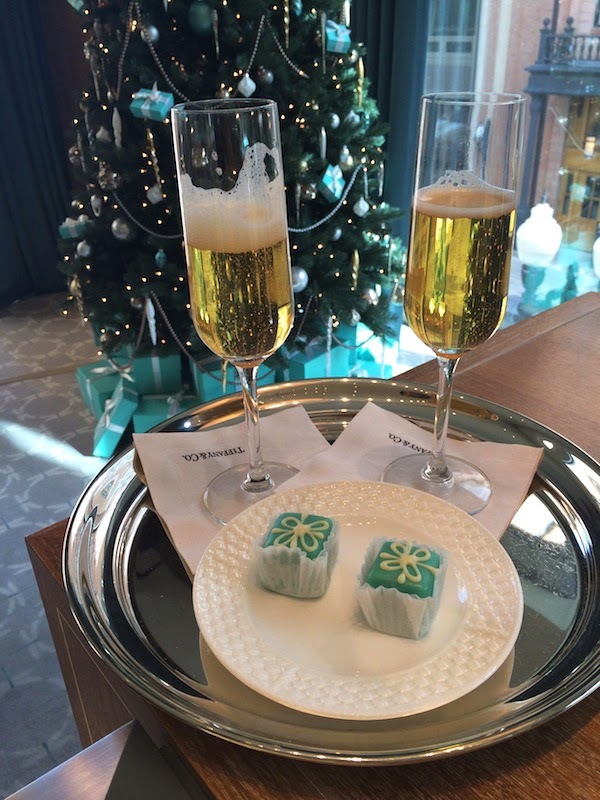 Robyn Vilate: tiffany & co.
i had so much fun doing a little holiday shopping and browsing at tiffany & co. last week! they were so great and showed me all their gorgeous lines and beautiful holiday pieces! i was definitely surprised to find out that they had some extremely affordable (and gorgeous!) pieces for those of us who aren't necessarily planning to spend a few grand this christmas. 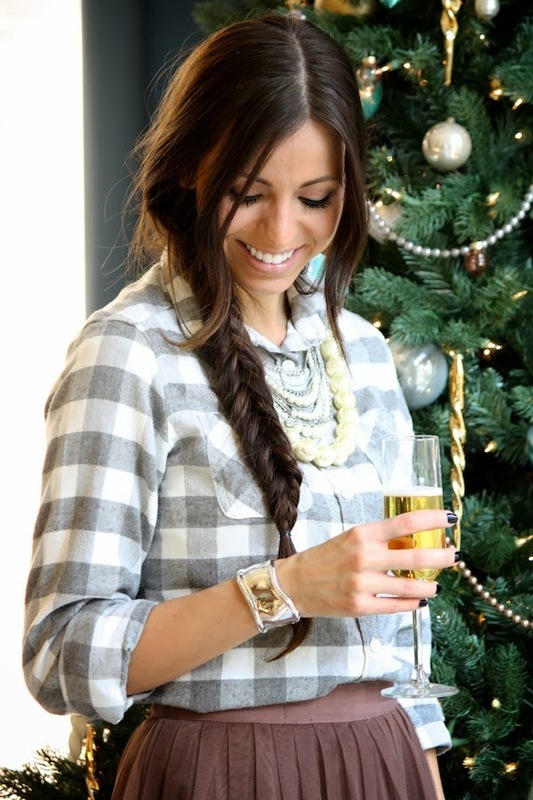 in fact my favorite pieces (like those gorgeous rings and cuff in the case) are on my christmas list this year! 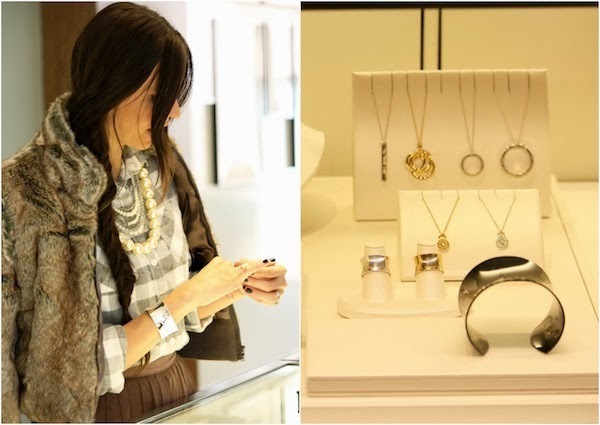 a few of my other favorites included the elsa peretti line, especially the bone cuff (which i'm wearing in the picture below) and the classic return to tiffany engraved pieces. who doesn't love to see that little blue box under their tree?! happy shopping! I am just checking in to make sure you received my email the other day in response to the prize I won on 12/3? Thank you! This tree is super lovely. The pearls, white bows on the Tiffany colored boxes and the silver ornaments is just perfect. You look amazing.